Commonly Operated Machine Particularly Used for Trade, Education, and Research. But factually speaking, the term Computer is derived from the word Compute which is formed from the Latin term Computare and the French term Computer. Compute means to reckon or calculate. 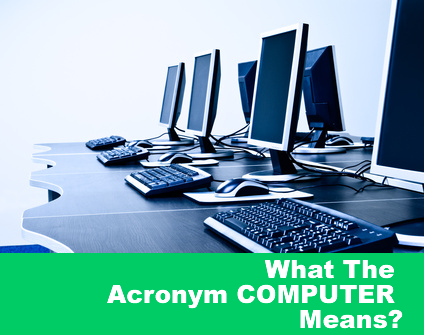 The acronym COMPUTER means Common Operating Machine Particularly Used for Trade, Education, and Research OR Commonly Operated Machine Particularly Used for Trade, Education, and Research.